Nando Pinto is our Ryan White Program Manager and has been working with the HIV population in the Bronx for years. In 1990, when New York City was gripped by the AIDS crisis, Joyce Rivera started an underground Syringe Access Program (SAP) on the streets of the Bronx. She understood early on that access to sterile syringes would save countless lives. What was then a radical position has now become commonplace in the United States. Nearly three decades later, the numbers reveal the efficacy of her work. Before SAPs and other harm reduction initiatives had been established, the HIV rate was as high as 529 per 100,000 people in the worst areas in the Bronx. Today, the overall rate across the borough is down to roughly 30 per 100,000. Joyce’s grassroots movement has grown into what is now St. Ann’s Corner of Harm Reduction (SACHR), a state-of-the-art harm reduction center providing a range of health and wellness services to the most marginalized members of the South Bronx. Working with the HIV population continues to be a core part of our work at SACHR, and today we examine the lessons we have learned and what the future of HIV treatment looks like in our community. One truism we have discovered is that there is no one size fits all treatment when it comes to dealing with HIV. It’s a mind, body, and soul approach. Antiretroviral medications have advanced considerably, but the mind and spirit pieces are equally important and need to be addressed. Issues stemming from trauma, for example, can prevent the patient from stabilizing and managing their health. The spiritual aspect of treatment is not religious – it’s meditative. It is about establishing goals and a healthy psychology as the person moves forward. In recent years, we have seen a spike in enrollment in our HIV programs as well as a spike in people looking for care enrollment. Because we now have a bigger team and more resources, we can provide that. Much of our work is built around providing key services like testing, medication access, and counseling at our facility and our outreach locations. We have also seen a rise in housing needs, and have been able to connect roughly 30% of our HIV program participants with either permanent or transitional housing. Our HIV services are directed by Nando Pinto who joined SACHR a little over two years ago. Nando is a gay man who has been living with HIV for 20 years. He has also been in recovery for about that same amount of time. “I’ve had a front row seat for the experiences I deal with on a daily basis,” Nando explains, “I understand, I get it. 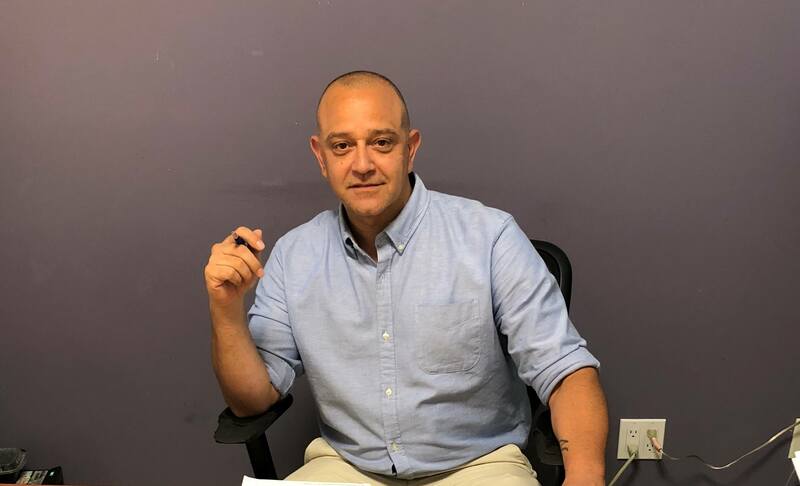 When I got into social services, working with addiction, it was a good fit.” After deciding that he wanted to pursue counseling as a career, he earned a BA in professional studies and human services, and is currently working on a Masters of Social Work. That process made him want to impact public policy and work in program implementation. Of the many challenges facing the HIV population, Nando speaks frequently about the problems that stem from a widespread stigma against people who are HIV positive. “The reality of living with HIV/AIDS is that there is still a tremendous amount of stigma. It is one of the primary issues facing the HIV community. This also connects with the stigma associated with substance use, LGBTQ+ lifestyles, etc.” For example, if a landlord see that someone is being referred from a program that deals with the HIV population, they are often unwilling to accept them. Though such discrimination is technically illegal, an apartment might suddenly become “unavailable” during the screening process, without a clear explanation. Participants can also internalize this stigma and adopt the biases themselves, which creates an obstacle that has to be addressed through counseling. Working to address these problems within the Bronx is unique in many respects. Nando points out that the daily challenges the borough faces can manifest in a feeling of disgrace. “Overdoses are so prevalent, crime is so prevalent, homelessness is so prevalent. Sometimes the neighborhood feels like it isn’t a part of New York anymore. The severity of the problem in the Bronx creates a powerful opportunity to work with these people who have fallen through the cracks.” He describes meeting people who aren’t used to others expressing concern, or giving them options. Even something as simple as a hot plate of food can have a major impact. “The future is all about education,” says Nando, “it is about prevention, and it is about early detection.” He points out because HIV has been around for nearly 30 years, a big portion of the population is aging which creates new treatment challenges. On the other hand, the fact that there are people who have been living with HIV for decades is proof that it is not a death sentence. People with a positive diagnosis can use the tools at their disposal to live happy and fulfilling lives – a reality that has been made increasingly accessible due to breakthroughs in antiretroviral medication. Unfortunately, recent reports from the CDC indicate that the rate of new HIV infections has stopped declining and has remained relatively constant since 2013. We hope that this dampening of progress will help illustrate that we cannot be complacent – there is still a lot to be done. By working together to counteract the stigma surrounding HIV, it will be easier to encourage people to get tested, to seek counseling and other support resources, and to explore the medication options that are available to them. To learn more about our HIV services, click here.